CINCINNATI -- On Monday morning, as he prepared to leave for work, Eduardo Rodriguez told his daughter he loved her. It was a daily ritual, he said, predicated on the knowledge that his safe return home was never a guarantee. If something happened, he needed 15-year-old Gabriella to know how much she, her mother and her siblings meant to him. Less than an hour later, Gabriella -- a hard-headed, hard-working tomboy known for her sense of humor -- would be sprawled on Harrison Street "moving around like a fish out of the water," Eduardo said. 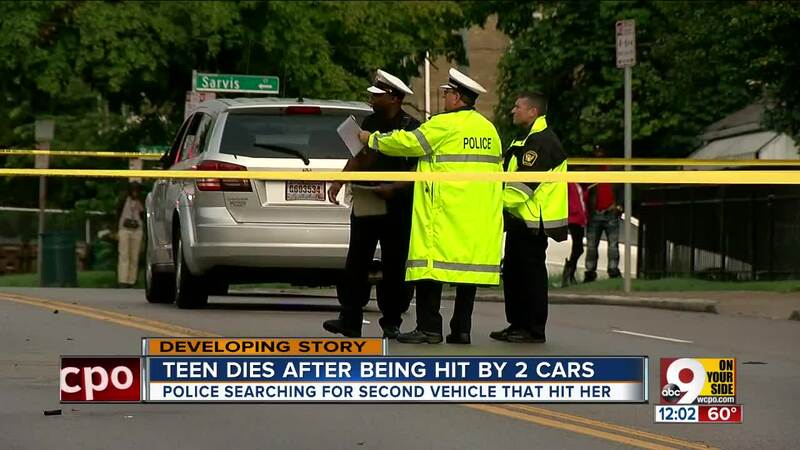 She had been hit by two cars while trying to cross Harrison Avenue and catch the Metro bus that would take her school. The first knocked her to the ground, according to police. The second ran her over as she tried to get up, then fled the scene. "They ran her over like a g*ddamn animal," Eduardo Rodriguez said. "That's what they did." 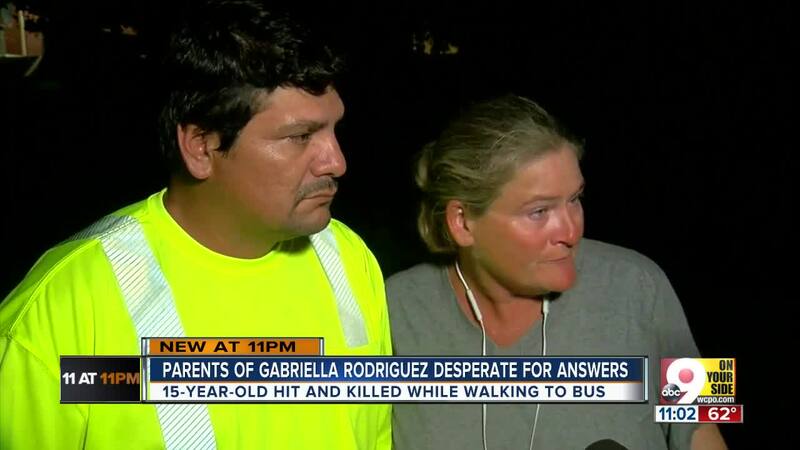 Gabriella Rodriguez died later that morning at Cincinnati Children's Hospital. She had just started her freshman year at Western Hills University High School. As her teachers, classmates and family mourned her, describing her as an "excellent athlete" with a sharp sense of humor, the driver who caused her fatal injuries remained free. Police said they were searching for a 2010 Toyota Corolla with Ohio plates. The four-lane section of Harrison Avenue where Rodriguez was hit had no crosswalks, and people who live and work nearby said they weren't surprised to hear about a fatal strike. A 2016 WCPO analysis revealed two intersections of Harrison Avenue were among the city's most dangerous spots for pedestrians. Rodriguez's mother, Shawna Rodriguez, said cars tend to fly past at speeds far above the legal limit. Her father said the family had complained and asked the city to create more crosswalks with no success. "I've worked in traffic, and I've almost gotten hit on this road," Shawna Rodriguez said. "This road, people go 60, 70, 80 miles per hour." More than anything, she added, she wants the person who struck and killed Gabriella to take responsibility for their actions. "I'm begging them," she said. "I need answers." The crash deprived her family and community of an "amazing" girl who advocated for a softball-specific field at her school and promised her mother she'd earn a college scholarship. The Reds observed a moment of silence in Gabriella's honor before their Monday night game, and her classmates decorated the softball field for which she had pushed. "I'm overwhelmed at the love everyone is showing my daughter," Shawna Rodriguez said. "I'm overwhelmed at what my daughter accomplished." She added: "I don't know what I'm going to do … (but) I keep hearing my daughter say, ‘Mom, you've got to get up. You've got to go. Mom, keep fighting it.'" Gabriella's family and friends will hold a vigil in her honor at 8 p.m. Tuesday. It will take place on the softball field she pushed her school to create. If you were in the area during the hit-and-run or know anything about the driver, you can call police or report anonymously by calling 513-352-3040. WCPO Transportation and Development reporter Pat LaFleur contributed to this report.